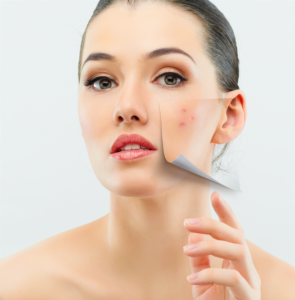 One of our favorite laser treatments, Clear + Brilliant® can be used for a multitude of purposes. In addition to reducing sun damage and enhancing youthfulness, Clear + Brilliant® is also an excellent option for reducing and preventing breakouts, acne scars, and pigmentation. Furthermore, this innovative, non-surgical technology can diminish pore size, leaving you with more radiant, smoother, and softer skin you will love showing off. Clear + Brilliant® works on a microscopic level, stimulating collagen production and cell turnover, which helps slough away pigmented skin cells and reveal the fresher, newer, and lovelier skin below. Once treatment is complete, an antioxidant serum is applied to the skin for more comprehensive results. Several treatment sessions are often needed to optimize the outcome, and your needs and goals will be considered to determine the ideal program for you. Ready to enjoy smoother, more even skin tone and texture? Talk to us today to see if Clear + Brilliant® is right for you.